Which is harder, running a printing business or maintaining a healthy relationship with your sibling? Clearly, the former, because the Ikuno family print shop is still a going concern. 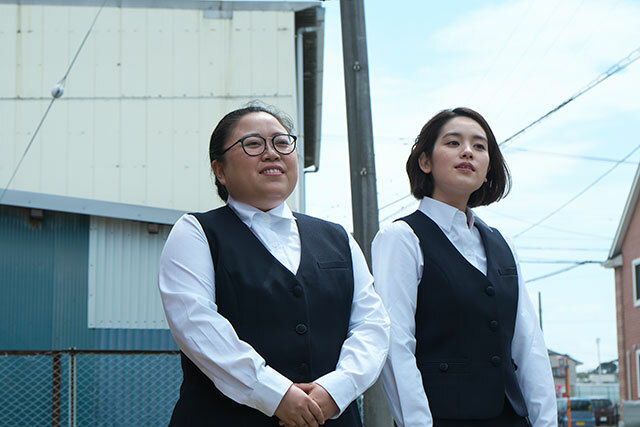 The bond between the Ikuno sisters is an entirely different matter, but the Kanayama Brothers might be even more distant and distrustful in Keisuke Yoshida’s Thicker Than Water (trailer here), which screens during the 2018 Japan Cuts Festival of New Japanese Film. Yuria Ikuno is smart and hard-working, but she is also socially awkward and does not at all conform to glamor magazine standards of beauty. Her sister Mako Ikuno is cute, ditzy, and popular. She is also a bit of a slacker, both at home and at work. Each resents the others’ attributes, so they have long waged a cold war of snark and one-upmanship. Their latest battle will be fought over an unlikely prize: their regular sub-contracting customer, nebbish Kazunari Kanayama. Initially, Kanayama can’t even recognize the interest directed at him. Of course, he has long carried a torch for Mako, so it is no contest once she makes her overtures sufficiently obvious. Unfortunately, she is a poor winner, who does everything possible to stoke her sister’s jealousy. Kanayama also has a hard time enjoying the moment, due to the angst caused by his bullying brother Takuji, an ex-con recently released from prison. Thicker is absolutely not saccharine or sentimental, so it is nothing like a Japanese cousin to the old Sela Ward Sisters TV show. The sibling relationships in this film are already badly damaged and they are only getting worse. Honestly, it is not at all certain whether they will be able to patch up their differences. In her film debut, manzai stand-up comic Keiko Enoue is an extraordinary discovery as Yuria. She is nakedly vulnerable, but also painfully self-loathing and sometimes downright petty. Honestly, she and Miwako Kakei are perfect together as Ikuno Sisters. Sometimes they make us feel for them acutely, while other times we are appalled by their behavior, but they always come across as real characters grounded in real-life, who inspire strong emotional reactions. On the other hand, Masataka Kubota (whose sad sack eyes are getting him type-cast in films like Tokyo Ghoul) is such a doormat as Kanayama, it is hard to get how either sister would be interested in him. However, Hirofumi Arai takes the thuggish Takuji in some unexpectedly interesting directions. This is a quiet, unassuming film, but it is often brutally honest. In many ways, it serves as a contrary corrective to genteel Japanese domestic dramas from the likes of Yoji Yamada and going all the way back to Yasujiro Shimazu, but it still demonstrates the Japanese film industry’s continued mastery of the genre. 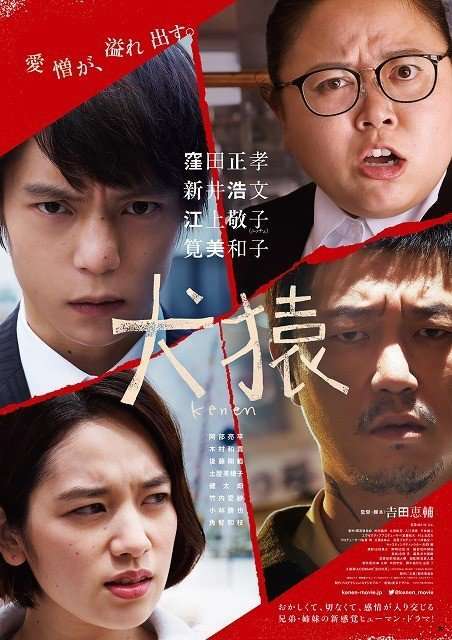 Recommended for viewing with friends rather than family, Thicker Than Water screens tomorrow afternoon (7/28), at the Japan Society, as part of this year’s Japan Cuts.